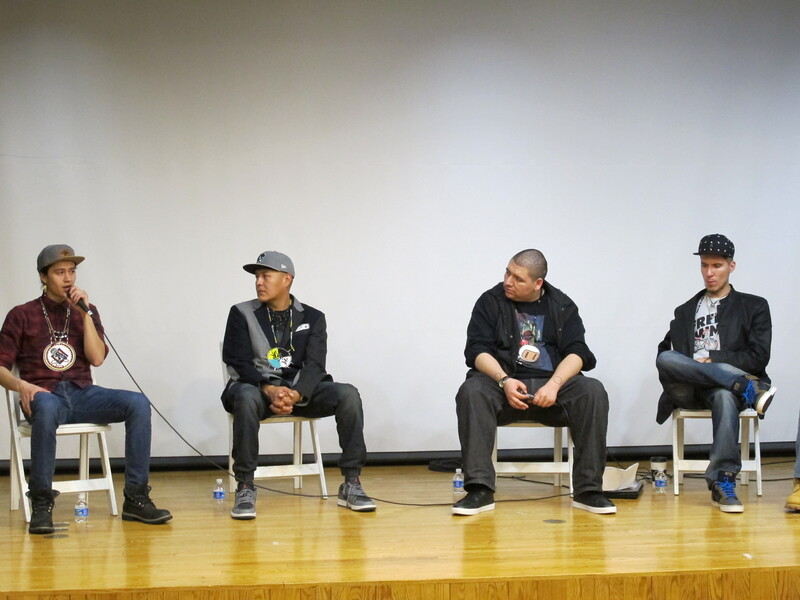 The Penn Museum is now one year into its long-term exhibition Native American Voices: The People—Here and Now, and last Saturday, some of those voices filled Rainey Auditorium, reflecting on their heritage, their personal struggles, and their hip-hop careers. 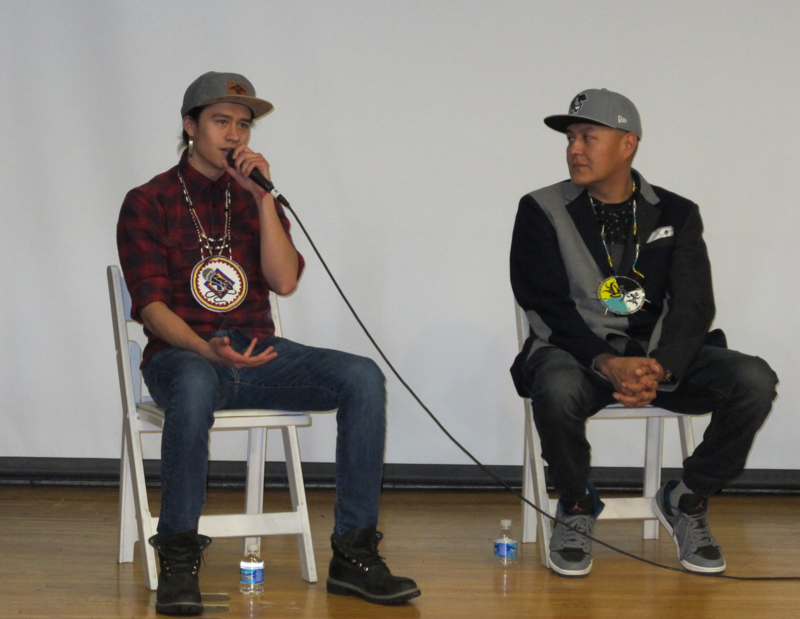 Penn senior Talon Ducheneaux helmed the panel discussion—part of a daylong program called Modern Native Voices: The Medium of Hip-Hop. 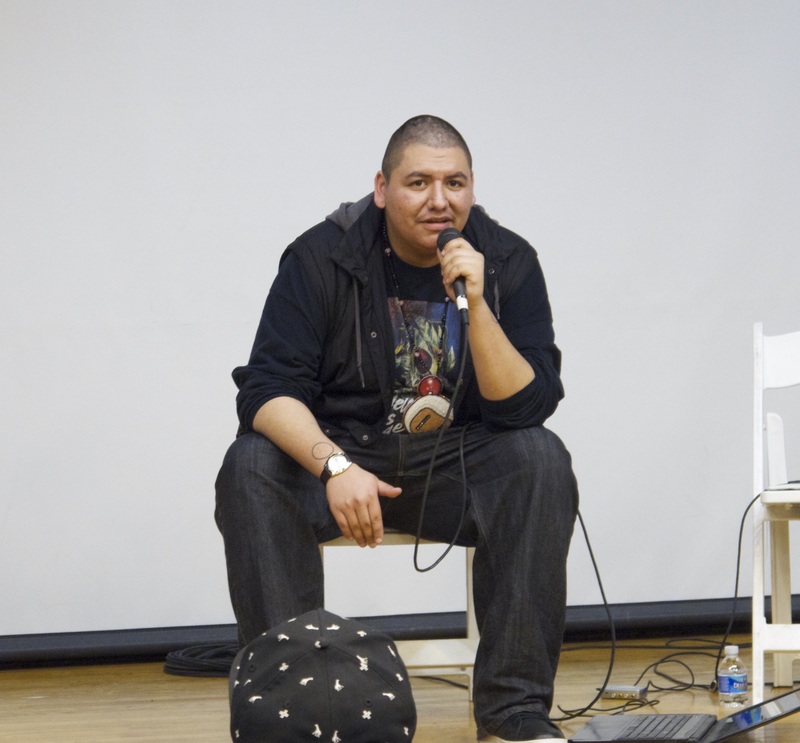 A psychology major and South Dakotan from the Crow Creek Sioux Tribe and the Cheyenne River Sioux Tribe, Ducheneaux is also an aspiring hip-hop artist (under the name BazilleDx) with a 51-track digital album, Sake, out this month. 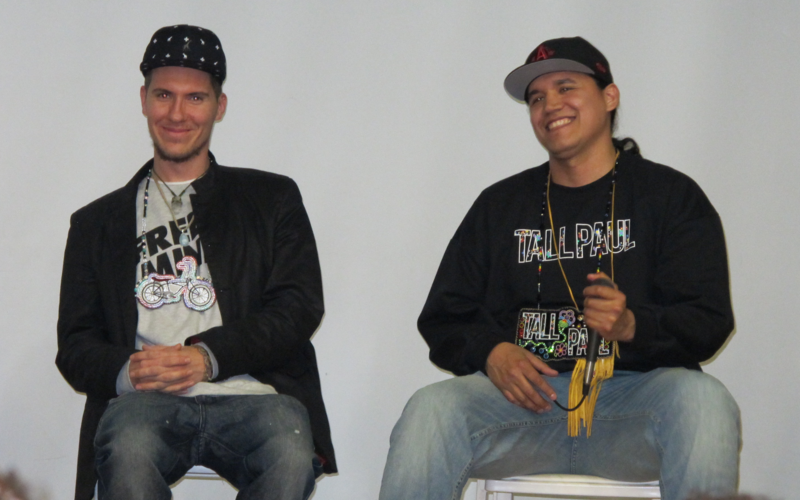 One by one, Ducheneaux introduced the panelists—Def-i, Wake Self, Tall Paul and Frank Waln—and one by one, each musician outlined his own path to hip-hop. Many spoke of their battles—with addiction, with depression, with domestic abuse, with self-mutilation. But they also credited hip-hop with lifting them out of that despair. In addition to creating music, all four artists are also active in youth outreach and education efforts, “showing that education can be given in all forms,” as Ducheneaux put it. He asked why they’ve made that a priority. Ducheneaux later observed that all four artists not only respect women in their videos, but also promote environmental activism, social justice and other issues. In “Speed of Bike,” Wake Self addresses climate change, and Def-i and Tall Paul have rapped about police brutality. That comment tied into something Waln had mentioned earlier: the feeling, when he first discovered hip-hop, that he was listening to someone who shared his own story.